The 92,000 square-foot parking structure is the first multi-level inventory structure in the city. 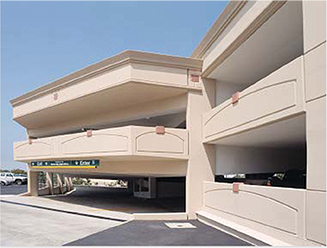 The three levels over one basement level parking structure was design/built to store up to 531 vehicle to accommodate the rapid growth of one of the largest car dealers in North San Diego County. Cutting Edge Specialist in Design-Build Construction, Structural Concrete, and Virtual Design and Construction ensuring value to clients.